Renewable energy heat pumps to connect to your underfloor heating system. Our Underfloor Heating systems are connected to a number of heat generating appliances. Whilst fossil fuels have been used traditionally, renewable energy sources are increasingly being adopted. Harnessing the most abundant source of energy - the sun, heat pumps extract solar energy which has been absorbed by the air, the ground, rivers and lakes. space is a factor, vertical probes are employed. In principal exactly the same as horizontal surface collectors, probes reach deep down into the earth to extract renewable energy. Bores are formed, normally 140mm diameter, into which weighted probes are fitted. A thermally enhanced grouting material is pumped into the borehole to ensure contact between the probes and the ground throughout the life of the system. Water source heat pump: Renewable energy can be obtained from any body of water large enough to sustain the design extraction rate. Practically this means water must flow in, and flow out, to guarantee a steady ‘flow’ of renewable energy into the system. The pipework, which is attached to a grid for easy retrieval, is floated into the lake and sunk. As water is an excellent collector of solar energy. 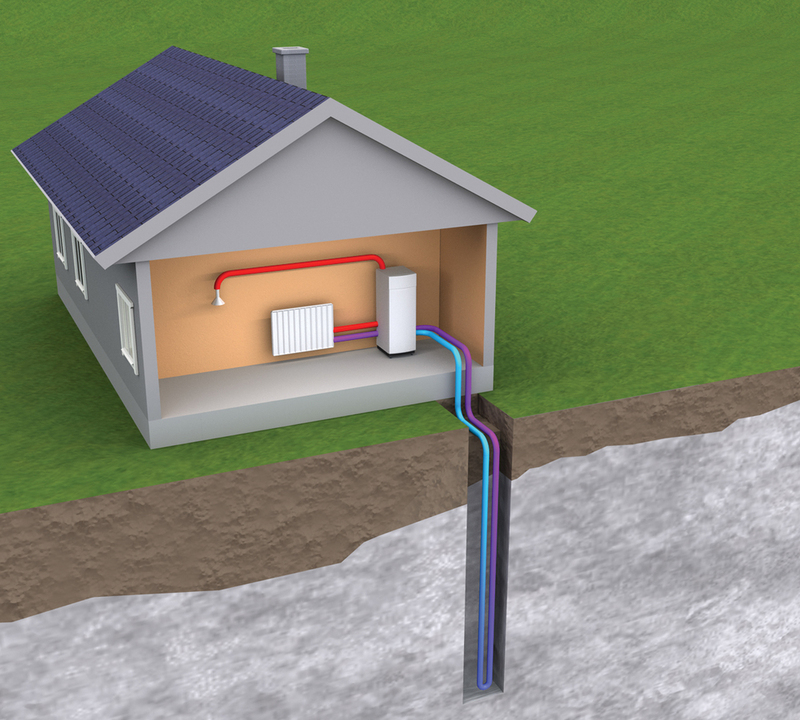 Your entire heating and hot water requirements may be supplied by a small lake or loch. To read more about Renewable Energy in general please follow the link to the resource on Wikipedia: renewable energy. The Renewable Heat Incentive (RHI) was introduced by the UK Government in 2014 to help kick-start the transition to low carbon heating in the UK, giving help to moving from conventional forms of heating to low carbon alternatives. The scheme provides financial incentives to households and non domestic consumers. You can read more about this scheme here: Renewable Heat Incentive.